Five friends venture into the unknown wilds of the Texas borderlands to document the Rio Grande before a wall is built. They set out to document the borderlands and explore the potential impacts of a border wall on the natural environment, but as the wilderness gives way to the more populated and heavily trafficked Lower Rio Grande Valley, they come face-to-face with the human side of the immigration debate and enter uncharted emotional waters. Join local experts as we deepen the discussion and implications of the issues raised in The River and The Wall. We will hear from a variety of perspectives and bring attention to the areas of impact in building a southern border wall including wildlife, border control, immigrants, and private landowners. Jen Barile, Resettlement Director of the International Rescue Committee, received her MA in Social Work from UM with a focus on social justice. With 15 years of experience, she has worked with various populations, including youth in foster care, survivors of domestic violence, migrant farmworkers, individuals experiencing homelessness and refugees. Eduardo Capulong, professor of Law at UM, and Associate Dean for Clinical and Experiential Education, has worked as policy analyst and organizer for various nonprofits, specializing in immigration, labor, civil rights, and poverty issues. His current areas of professional interest include immigration law; race and racism; and experiential education. Randall Caudle, Immigration Attorney at River Mountain Immigration, ran his own immigration law firm for 22 years in San Francisco. In 2017, Randall moved to Missoula and started River Mountain Immigration in Missoula and is one of only a few immigration attorneys in the state of Montana. Bob Gentry, attorney with Gentry & Nelson Merrill Law Group, has practiced public interest environmental and immigration law in private practice since 2008. He received an MA in Ecology with a focus on the impacts of forest and habitat fragmentation on area sensitive neotropical migrant birds in the central US and in their winter habitats in Mexico, Puerto Rico, Belize, and Guatemala. Heather Mackey, ornithologist, received a BS in Ecology and Evolutionary Biology at Cornell University. She has conducted field research in a variety of remote locations including Kodiak Island, Alaska, the Galapagos, and Australian rainforest. 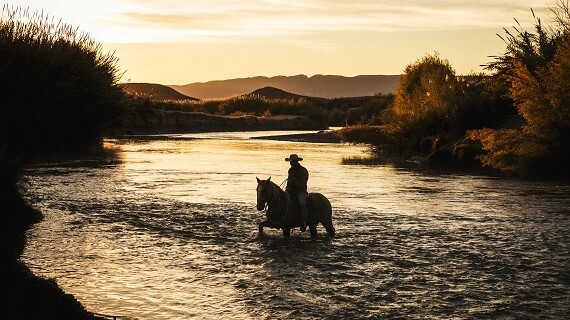 Two seasons on the Rio Grande researching the impact of riparian restoration on the bird and butterfly communities has given her a deep appreciation for the wildlife and the people of West Texas. She is featured as a member of the team in The River and The Wall. The River and the Wall screens 4/14 @7:00 PM and 4/16 @7:30 PM at The Roxy. Panel discussion will follow the 4/14 screening only.